Hello there. I’ve been pondering this for a while now. Why is it, that now that spiritual things are no longer so taboo, that pagan religion and it’s respective symbols is still so hush hush and not discussed? Even in new age circles people don’t like to discuss it. You know, because they might possibly, cast a negative spell. The HORROR! :). “and that would not be in alignment with “the highest good of all and source consciousness…” Hey, at least I know what they say. I never really gave the pentagram much thought until recently, when making my new 8 and 12 petalled flowers of life, there it was, just sitting in the patterns. waiting for me to notice it. 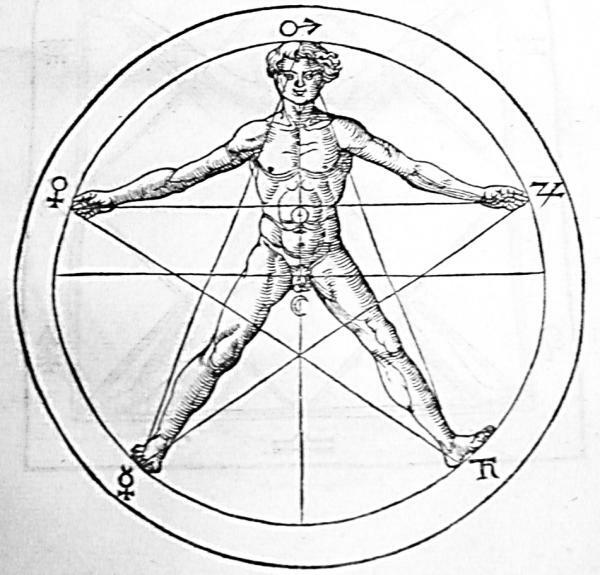 It seems that people have discussed the Vesica Piscis, the Trinity, But not the Pentagram. Such as Drunvalo Melchizedek’s Flower of life books (Maybe I should read the second one?). It is Sacred Geometry as well! It just has a stigma attached these days (apparently people don’t know the difference between a pentagram and an inverted one!). and surely, that shouldn’t stop anyone who really wants to know? It Certainly won’t stop me. feel Oh, I should probably show you. Here. (above you!). This is the eight petalled flower, by the way. I made it bigger! Ah, emergent geometry is a Wonderful thing! Oh, sorry about that. now, what Was I going to say? I’m just really frustrated! I feel like there is so many people who just have no idea what they are saying, just parroting what they heard. Personally, I wish there was a new rule: You can’t use a symbol until you understand it’s meaning properly. I can dream, right? Actually, why not explain the pentagram? Google images is great, really. These elements also are associated with various parts of a person. 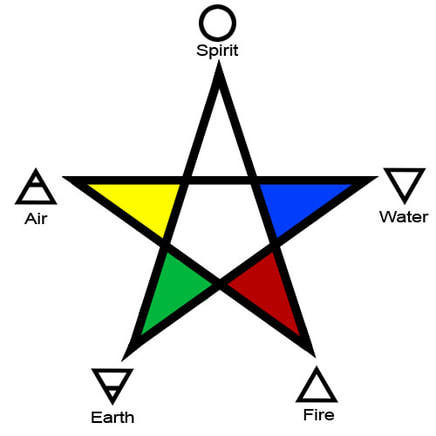 Air is the intellect, water is the emotions, fire is the Sexual/generative side, Earth is the body, and Spirit, is your intuition and Divinity. So that’s the Pentagram. As for its inverted counterpart, I’m not entirely sure. Is it evil? bad? It certainly has been used in such a manner, to place the physical above the spiritual. I guess both symbols are innately unbalanced. one positive, and the other negative. But Darkness is something we all must face. And if One fails to learn this, they become twisted inside. The darkness in themselves they see all around them, projecting it unto others. Christians tend to be masters of this, I find. Satan, Satan everywhere! Especially in things they don’t understand. But in facing them, one gains insight that is unrivalled. So Do not assume that Even the inverted counterpart is An “Evil” Symbol. Sure, Satanists Use it, but so what? People have used shovels to kill people. Does that mean every man with a shovel is going to kill someone? no. That’s a fallacy. Darkness is not always Evil. If a symbol has bones and skulls in it, perhaps the group doesn’t view death in the same way. perhaps it is an acceptance of the fact? Not necessarily that they are Satanic, Blood drinking monsters. Naturally, the former does exist. In fact, why do you think so many people just go missing and are never found? Yeah, the authorities are in of it. Best not to dell on it. Anyway, The taboo On pagan Religion is a part of a disturbing trend I have been seeing. It seems there is a concerted effort to wipe out western spiritual practices and culture, and replace them with cheap imitations of the east. Honestly, Was the Purge suffered at the hands of the Inqisition (Witch-hunts) not enough? Western spiritual Traditions Survived, But they went deep underground. after that, Medicine had to start again. from scratch. The “False God” Yahweh (means I am what I am) Has done a pretty good job, I have to say. Kudos. You wouldn’t want anyone honouring the real creator now, or the divine feminine. I guess we still have a ways to go. But in the end, We all believe in the creator. Maybe it’s time we remembered that? I’d b cool to hear what you were really going to say. I hope you remember. Oh, I remembered some of it. Added some more Stuff.